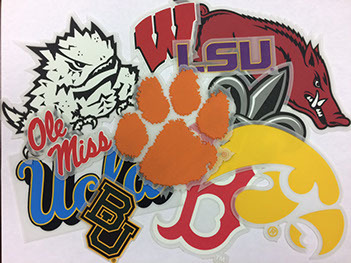 Our heat transfers are printed in rich full color, reliable stretch ability, and designed with advanced adhesives to address today’s performance fabrics. Unlimited print color capabilities that replicates the rich color of screen printing. Including fluorescence and metallic inks. Precise color matching for PMS and spot color work. Physical attributes include long color duration, superior stretch ability and a matte finish for soft hand appeal. Short dwell time with an instantaneous release to increase production. 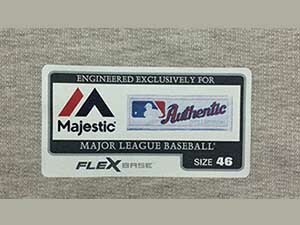 Wide range of fabric application which include naturals, blends, and performance fabrics. Adhesive selections include standard, clear, low temperature, industrial and hi-stretch. Delivered Format – Individual or Contour Cut. Spot color print process. Including florescence and metallic inks. Rapid dwell time application (3-5 seconds) to increase delivery of product. Wide range of fabric application which include naturals, blends, and some synthetics. 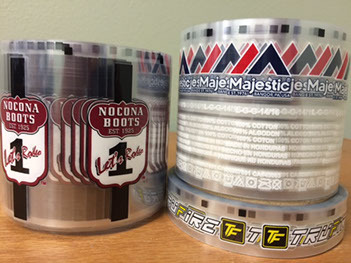 Perfect application for garment care labels. 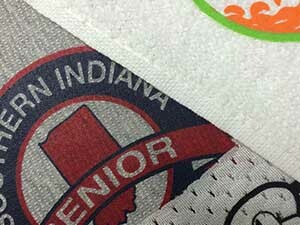 Our strongest, professional-grade heat transfer. Formulated to sustain high temperature commercial wash and dry systems. Unlimited print color capabilities that replicates the rich color of screen printing. Including fluorescence and metallic inks. Adhesive selections include standard, low temperature, and industrial. Most economical heat transfer we produce. Conventional screen print plastisol heat transfer. Spot color print process. Capabilities include Pantone color system, metallic and fluorescence inks. Physical attributes include good stretch ability and a matte finish for soft hand appeal. Rapid dwell time application (5-7 seconds) to increase delivery of product.